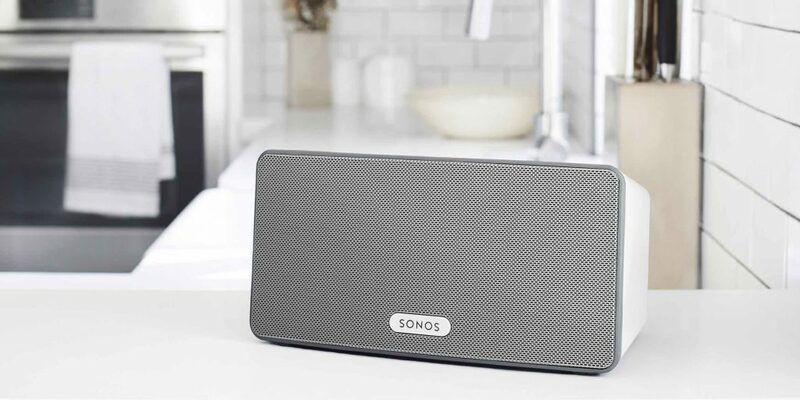 Many of Smart Home Sounds customers ask which Sonos system is right for them – the Sonos Play:3 or the Sonos Play:5. Here’s our review of each, and how you can determine which one is right for you. 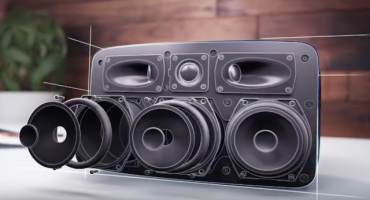 This is the mid-range speaker of the Sonos family and the popular choice for customers who want to immerse themselves into the world of digital music streaming for the first time. The first question we normally get asked is 'How loud does it go and what is the bass like?' Our usual response is ' you will be pleasantly surprised!' Most people have seen the Sonos PLAY:3 and assume it may fail to meet their expectation of a wireless music system, given its small form. Well, as most people who own these units will tell you, it adheres to its strapline given to it by Sonos - "The smaller, sexier, tuck-in-the-corner and blow-your-roof-off, all-in-one player”. Another highlight of the PLAY:3 is that it is easily placed within any and all rooms within your home. 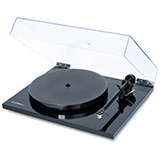 It is perfectly powerful enough to drive an average size living room, bedroom or kitchen. 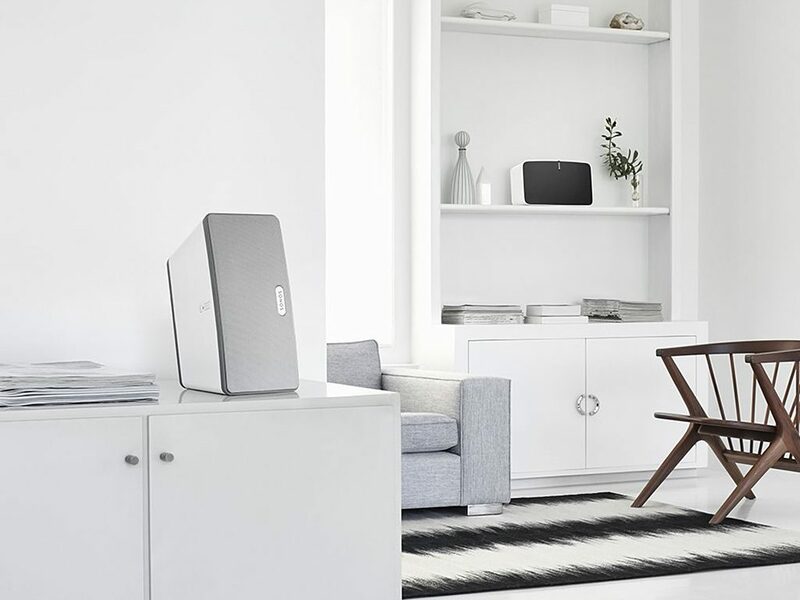 If, however, you have a more open plan lounge dinner or a bigger room that you wish to fill with music, then you may need to consider the Sonos PLAY:5 or 2 x PLAY:3s paired in stereo mode. 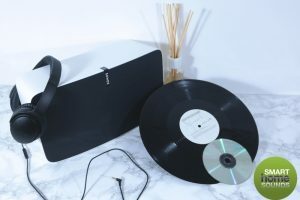 The Sonos Play:5 was Sonos' first entry into the all-in-one wireless music system market, and we think it remains to date the best value all-in-one music system. With all Sonos products, the build and sound quality is 1st class. 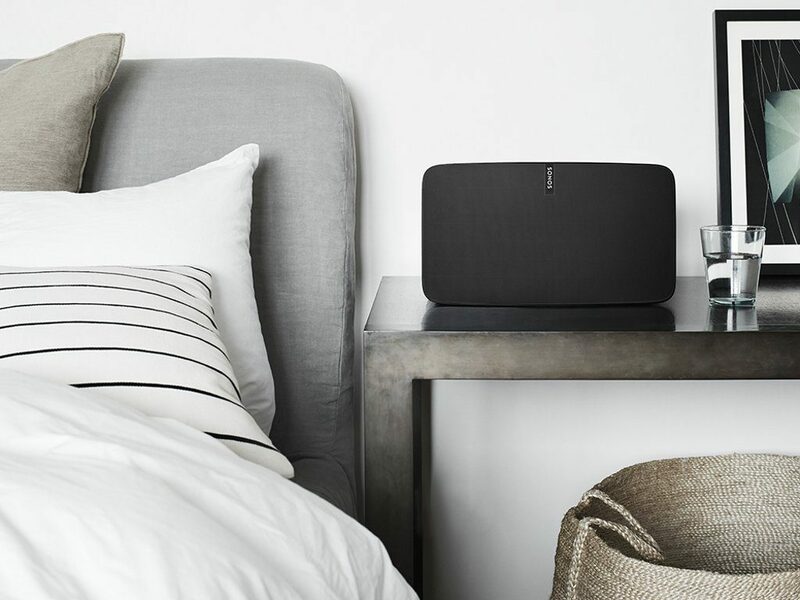 While the Sonos PLAY:5 is still small enough to be discreet in a room, it is also powerful enough to really rock a big room. We have never experienced customers complaining that the sound does not fill the room adequately. The PLAY:5 will fill your room with more bass compared to the PLAY:3, as the bass driver is bigger in size, which in turn pushes more air to give a deeper bass. An everyday advantage of this over the PLAY:3 is that you will experience a fuller sound, whereas with the PLAY:3 would require you to increase the levels to in order to try and match the same bass of the PLAY:5. The PLAY:5 has the added advantage of having a line input. This can be used to plug in a games console, SKY TV, DJ mixing desk, computer or even a mini disc or a tape deck. Having this function gives the system added value over the PLAY:3. 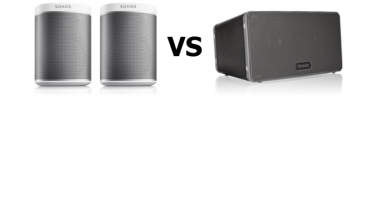 So which Sonos system do you go for – the PLAY:3 or PLAY:5? If you are looking to get into digital streaming music and want to see what the Sonos system is like, then try the PLAY:3. 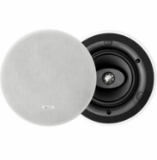 As many of our customers have found out - the sound from something this size is astonishing. If at a later date you want to treat yourself to a PLAY:5, you can always put the PLAY:3 into the bedroom and use the built-in alarm clock to wake you up to your favourite music! If you have a slightly bigger room or have more budget to play with, you will certainly not be disappointed with the Play:5. It also gives you the added extra of a line in socket. Either way, as most independent reviewers agree, both Sonos systems are highly rated five star products. Smart Home Sounds is a UK Sonos specialist dedicated to filling homes with the joy of music, one room at a time! We provide expert advice on the full Sonos range, from the voice controlled Sonos One to a Sonos wireless home cinema system with PLAYBAR, SUB, and 2 x PLAY:1s all with free next day delivery and a 6 year extended warranty.